Clowns Without Borders Belgium sent 3 Belgian artists to Senegal in 2001 for an exploratory project in schools. They performed 15 shows for 6000 children. 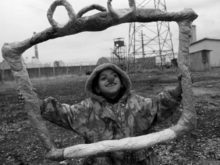 In 2001, Clowns Without Borders Spain continued its project in Algeria and the Western Sahara refugee camps, giving artistic workshops and shows for children and women refugees. 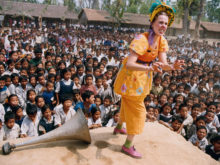 In 2001, Clowns Without Borders Sweden performed 10 shows for 15,000 people in Nepal. In 2001, Clowns Without Borders Spain continued its support to people who had suffred from the war in Bosnia. Clowns Without Borders Spain went to the Philippines in 2001 and performed 12 shows for 3500 people. In 2001, Clowns Without Borders Spain sent 4 artists to perform 10 shows for 1500 people in Nicaragua. In 2001, Clowns Without Borders Spain toured in Mali for a project focused on undernourished children, with the support of the French NGO Action Contre la Faim. 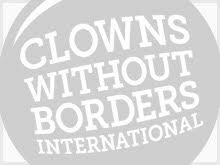 Clowns Without Borders Spain implemented a project in the Ivory Coast in 2001, performing 10 shows for 3000 people.